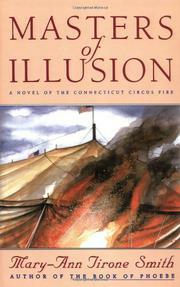  The event at the center of this colorless novel--the Connecticut circus fire of 1944--is not by itself compelling enough to sustain interest, and the characters touched by it--mainly a woman who was burned in the fire when she was six months old and her husband, a firefighter obsessed with discovering who lit the blaze--are blanks. Smith (The Port of Missing Men, 1989) flails about while trying to locate a story here. Margie Potter was hideously scarred by the fateful fire and her mother died in it. As a teenager she meets and marries Charlie O'Neill, who has always been fascinated by the story; yet when he tells her he had a ticket to the circus that day but did not attend, she takes it as a joke. They marry and have a daughter named Martha, all the time setting aside a room of their house where Charlie (in conjunction with his uncle Chick) keeps information about the fire and interviews survivors. Although common knowledge has it that the unsafe material of the circus tent caused it to spontaneously combust on that hot day, Charlie is convinced that it was set by an arsonist. He locates the fireman whose thumbprint is set permanently in the scar tissue on Margie's back (she is dusted and photographed), and identifies a little girl known as Little Miss 1565, whose family never turned up to view her body at the hospital. This project takes up all of Charlie's time. Meanwhile Margie reads voraciously and Martha grows up to go first to Yale and then to law school. Information is thrown in haphazardly about Charlie's abusive father and Margie's strange upbringing with a father who rarely spoke, but these facts never add up to a portrait of either character. A final twist is unsurprising. Oddly unmoving writing about human tragedy.